Pour one out for Anthony Scaramucci, the White House communications director who technically never was. (He didn’t even make it until his official start date!) On Monday, ten days after his hiring and with not a single day officially served at his post, the Trump administration abruptly fired the Mooch before the man’s direct deposit ever stood a chance of clearing. His removal at record speed came just days after he went on an expletive-filled rant trashing Trump’s closest confidants during a phone call with The New Yorker. 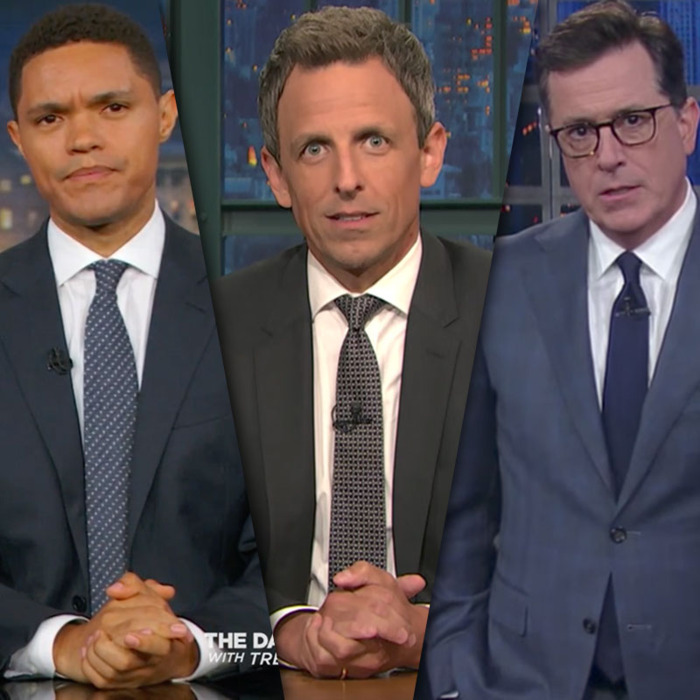 Now denied the chance to roast Scaramucci for however long his actual tenure at the White House might’ve afforded them, late-night hosts instead sent him up with a farewell extravaganza on Monday night. Here are the best jokes each host told at the Mooch’s expense.